Ledbury kitchens and appliances was first established on July 4th 2016. 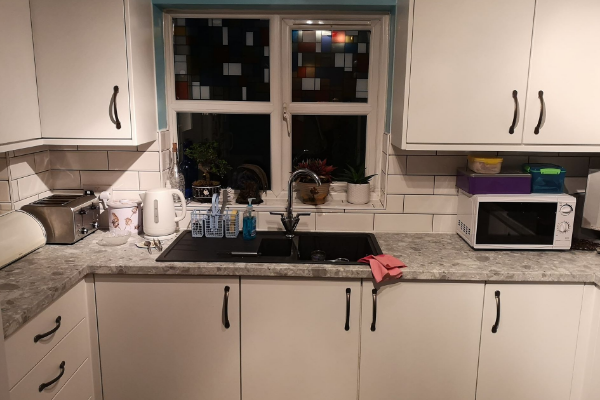 As a mother and daughter team we offer 13 years experience in home improvement priding ourselves on professional service and a personal touch. 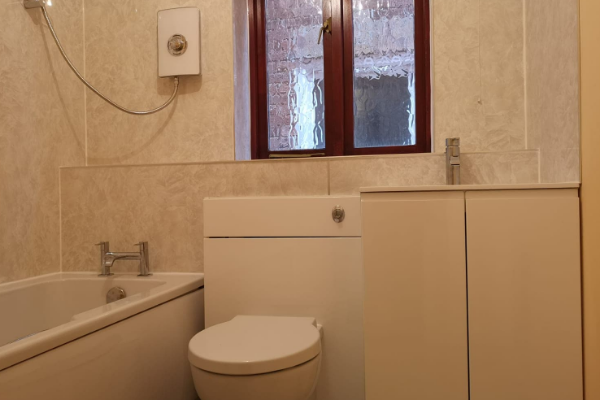 Our continuing reputation for quality products and installation will give you full confidence throughout your makeover. 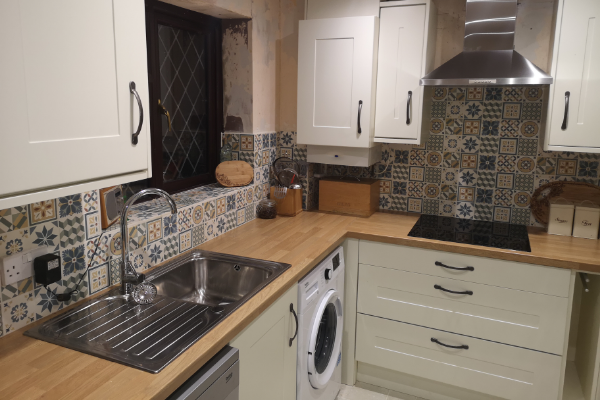 We are located in Ledbury, Herefordshire and offer an extensive range of kitchens, bedrooms, bathrooms and appliances to suit any budget. This kitchen shows the solid oak Malham shaker style door along with Amazonian Brown Minerva solid surface worktops and upstands. This cloakroom shows Cashmere units with a Fjord Green embossed top and Ivory onyx aqua-panelling around all the bathroom. 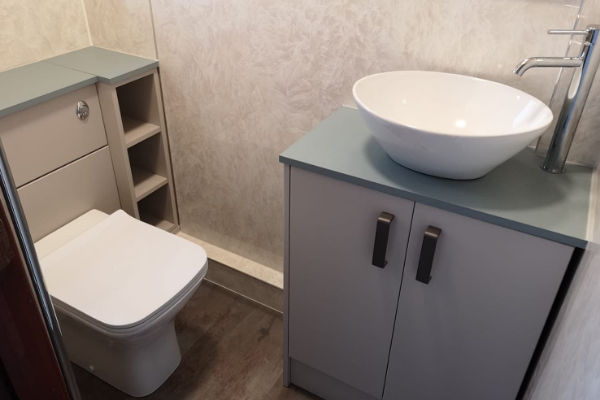 Mr and Mrs King had a complete bathroom and en-suite re-fit in Ledbury and is showing 6mm ivory onyx aqua panelling, white gloss units and tile effect vinyl flooring. 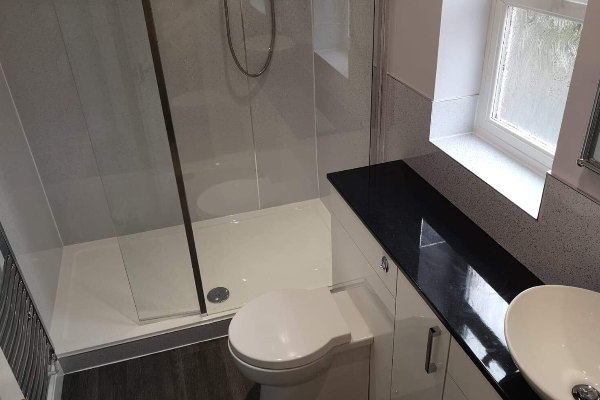 Mrs Evans bathroom fit in Ledbury is showing a large walk in shower with white sparkle 6mm aqua panelling, white gloss units and a black laminate worksurface. Mrs Almonds kitchen fit in Ledbury is showing our Aura style matt white plain slab door. 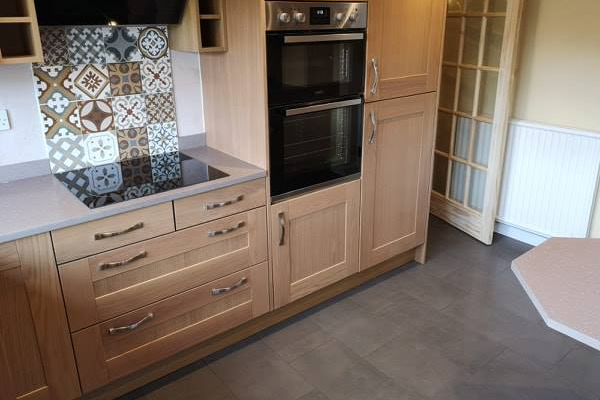 The worktops are Duropal laminate Natural oak block with pewter handles.